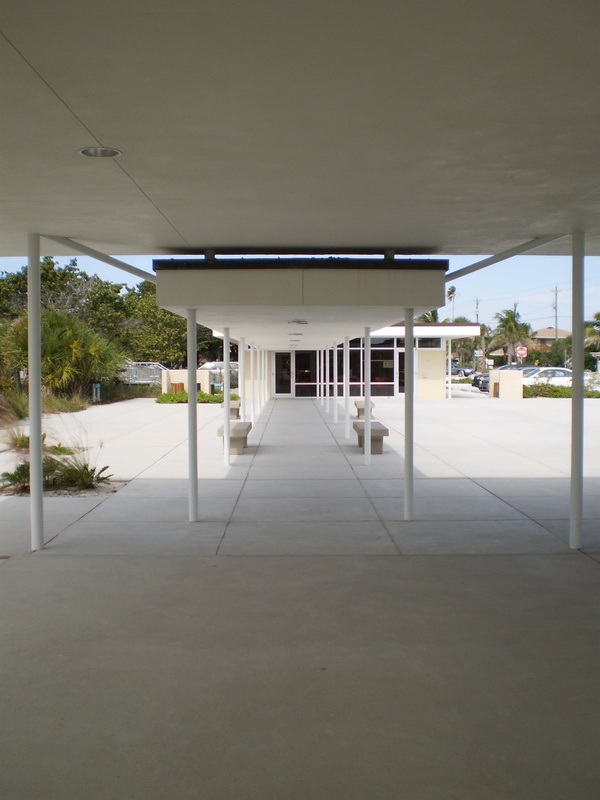 The Nokomis Beach Plaza, formerly known as the Nokomis Beach Pavilion, is a Sarasota School of Architecture preservation success story. 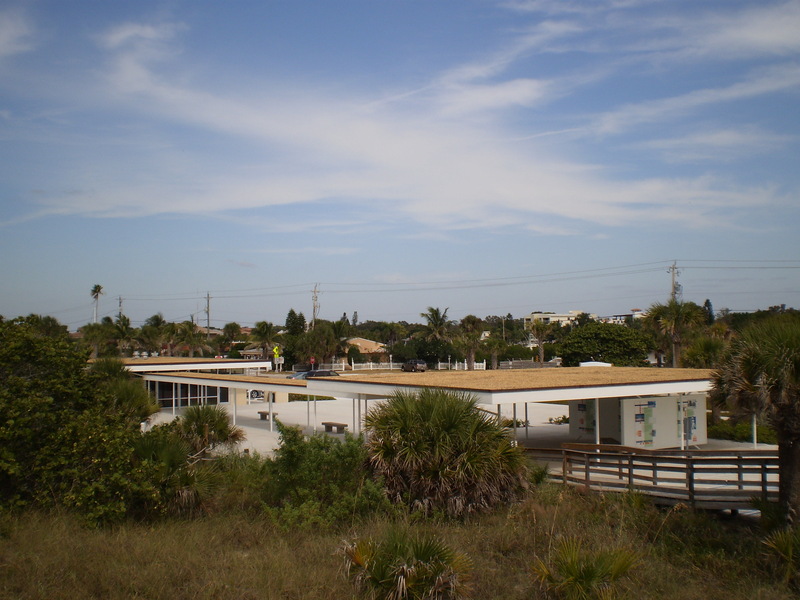 It is located on Casey Key south of Sarasota and just north of Venice. 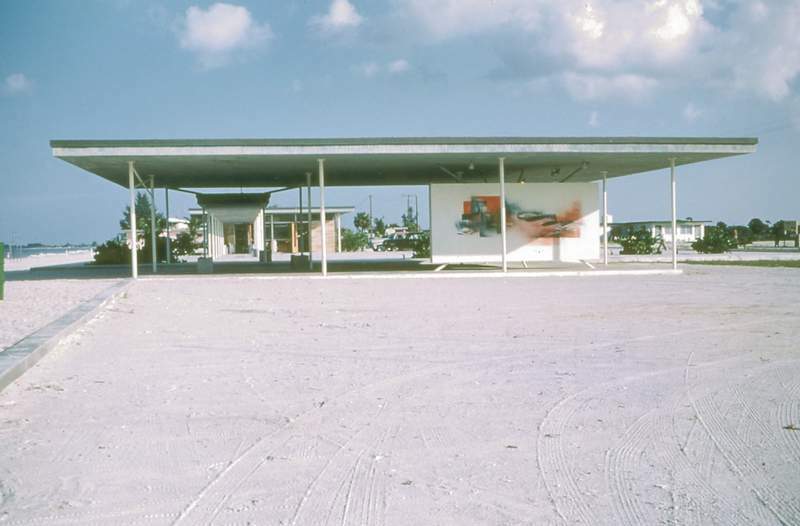 Sarasota County bought the beach on which the plaza stands in about 1950 and commissioned architect Jack West to build a structure for locker rooms, bathhouse, and restrooms. 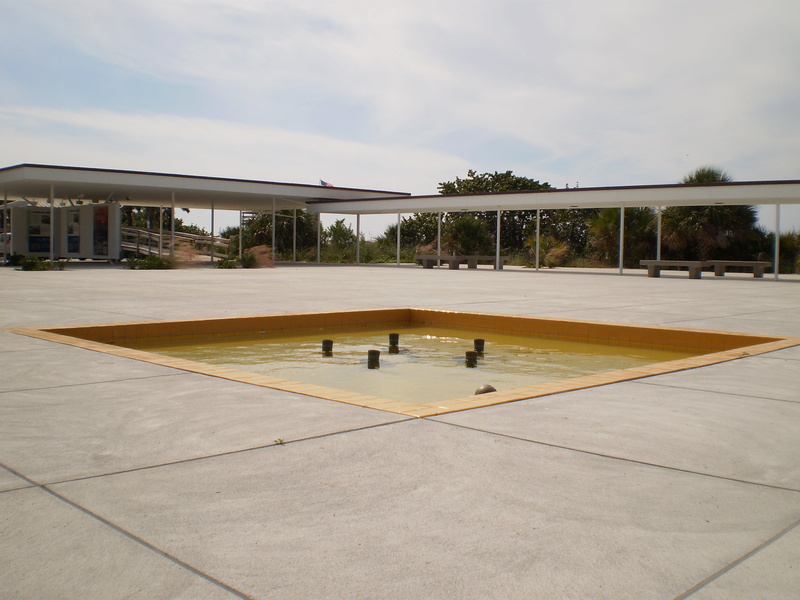 It was the first public commission for West, who had received his start working for pioneering Sarasota School architects Ralph Twitchell and Paul Rudolph. 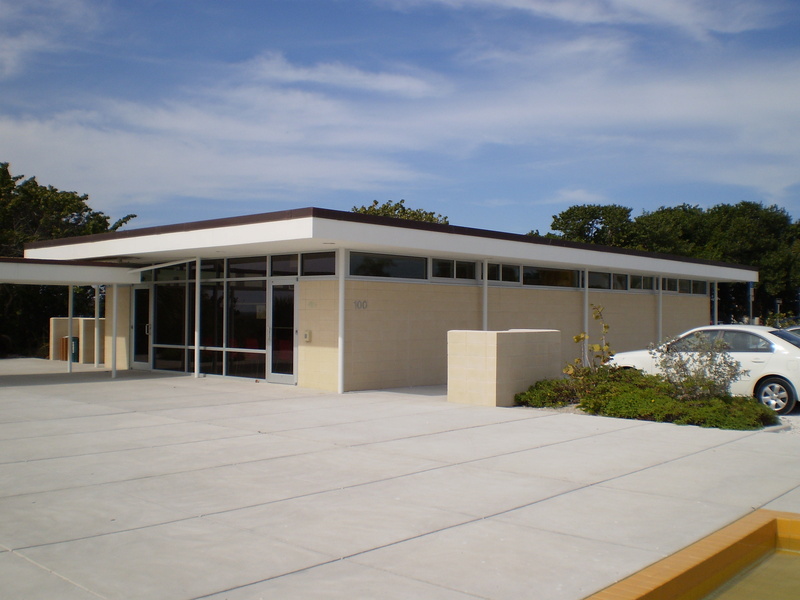 It was also the first Sarasota School public building. Work began on the plaza in mid-1955, and it was dedicated the following February. 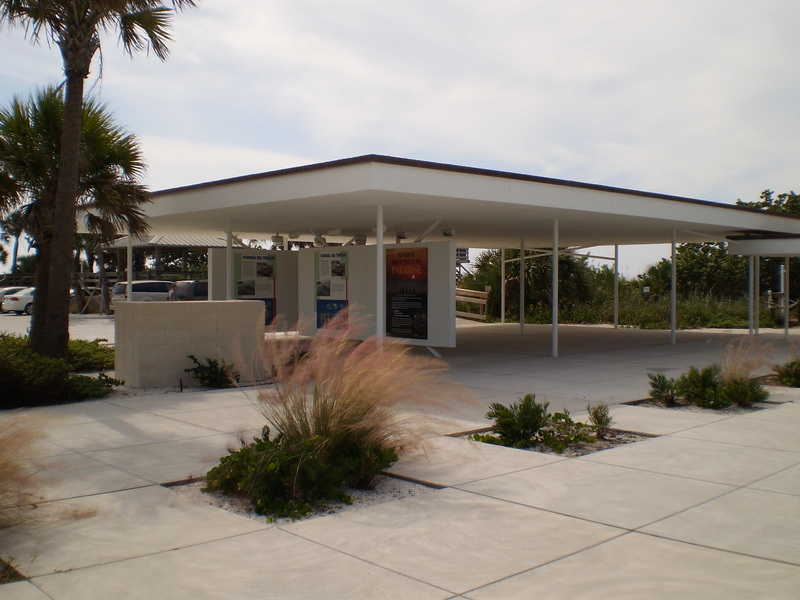 Because of its location directly on the beach just feet from the Gulf of Mexico, maintenance was a recurring issue. 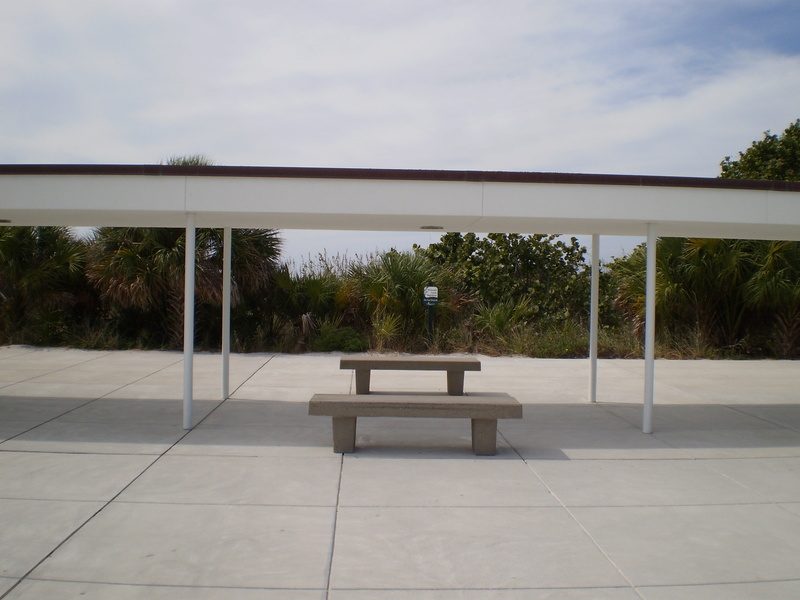 Among the changes: the steel Lally columns were boxed in sometime in the 1970s, the Ocala blocks were painted over, and plantings overtook the site. 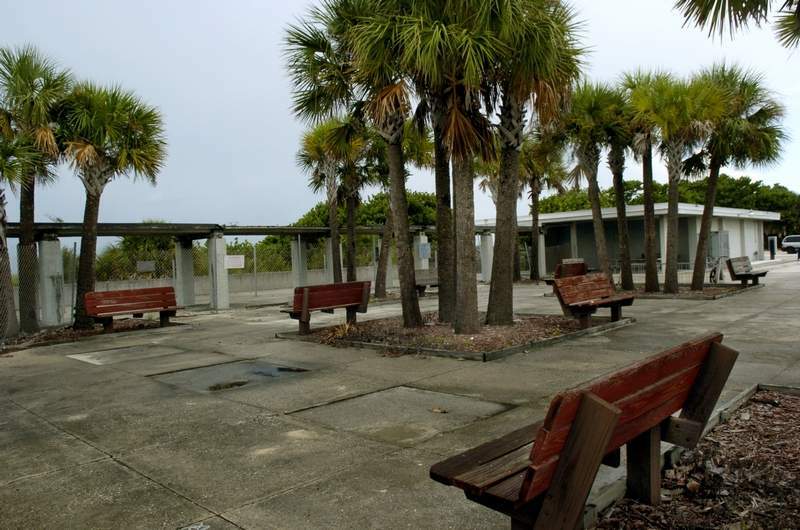 In 1991, a new facility was built a quarter-mile down the beach, and the plaza was slated for demolition. But about 100 residents came forward in favor of saving the plaza, and in 1993 county commissioners relented. They shelled out $80,000 to update the bathrooms and build a boardwalk connecting the 1991 structure with the 1955 plaza. 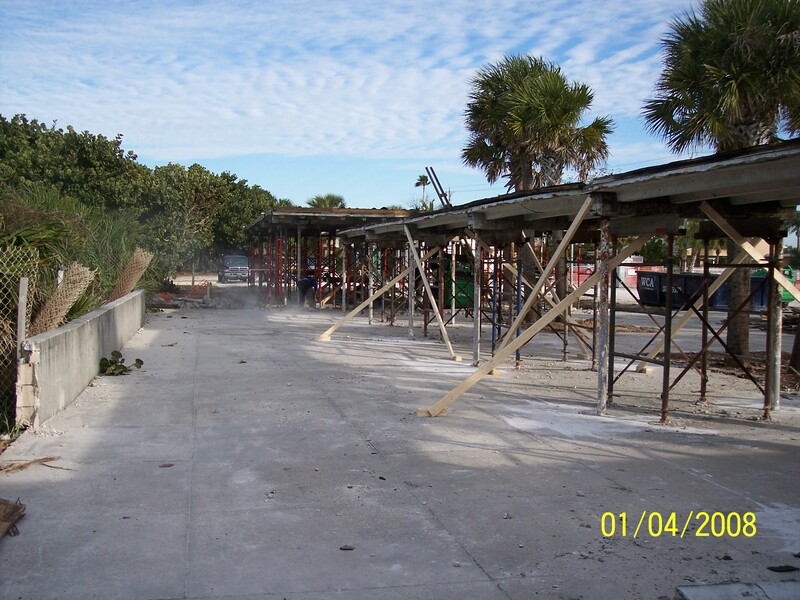 However, the plaza’s structural problems persisted and came to a head in 2002 when a woman was hit by falling plaster. The plaza was shuttered. 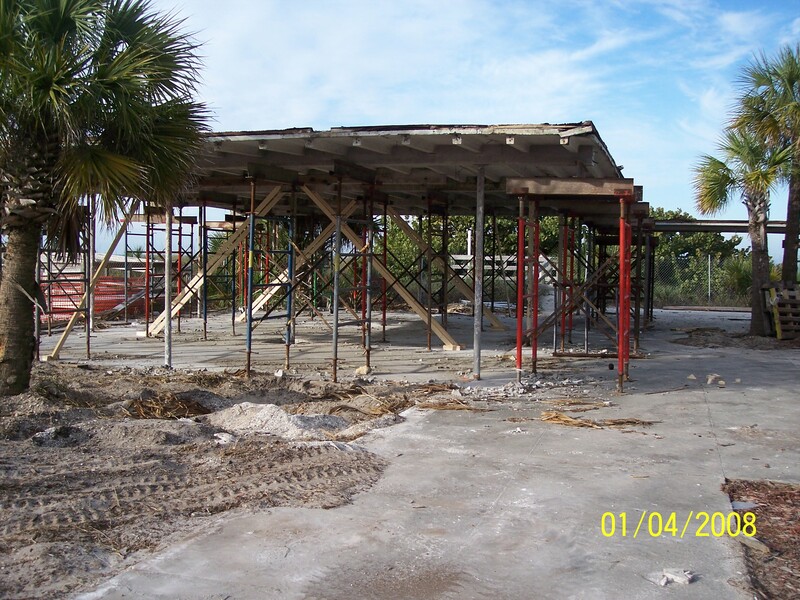 But thanks to the work of Dave Baber, the Sarasota County historic preservation officer at the time, and the county Parks and Recreation department, this historic building was never really at risk. West, the original architect, did a feasibility study and determined it was worth saving. He was later hired by the county to restore the plaza. Funding and permitting delays put the project on hold for five years. But work eventually got under way in late-2007, and the plaza was rededicated on Sept. 19, 2008. Update: West died in November. His memorial service was held at the plaza. Another early view. The mural was painted by artist Hilton Leech on plywood and only lasted about five years. Jack West always incorporated artwork into his designs. Courtesy of the Sarasota County History Center. Here’s what the plaza looked like after it was closed in 2002. Courtesy of the Sarasota Herald Tribune. The plaza under restoration. Courtesy of Howell Construction. Everything except the concrete T-beam roofs were replaced. Courtesy of Howell Construction. The south pavilion has educational panels instead of artwork. The walkway connecting the two pavilions. Notice the return of the pipe columns. A dune and plantings block the view of the beach. The north pavilion has restrooms and a community meeting room. 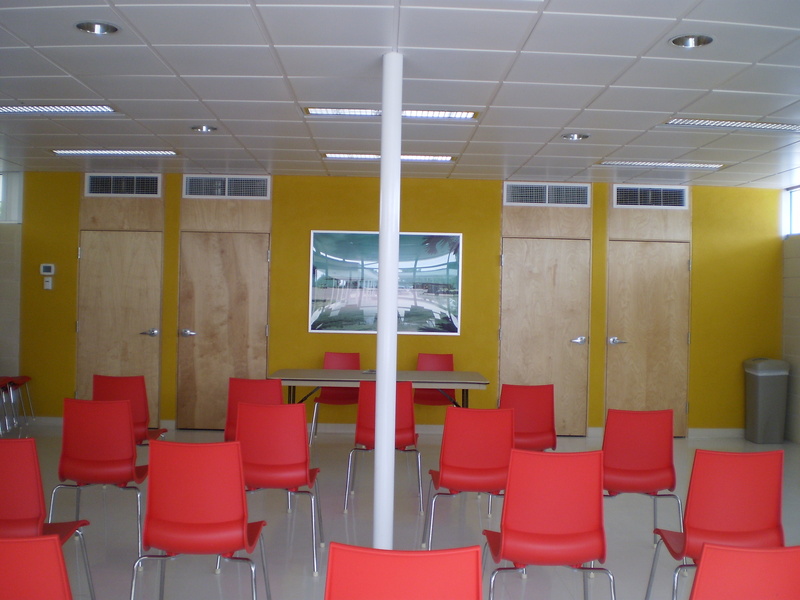 Inside the meeting room, a good adaptive reuse example. 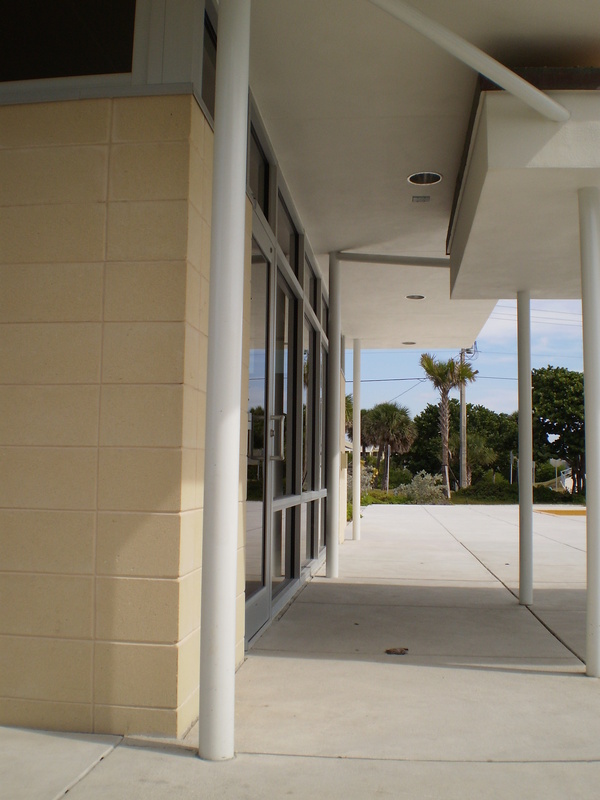 The Ocala block was replaced with a sand-colored concrete block. Unfortunately, the restored fountain wasn’t on the day I visited. View from the lifeguard stand. Again, notice how much the site has changed in the past 50 years.